115. “El éxito de la Biotecnología en la Producción Azucarera” “The success of the Biotecnology in the Sugar Production” Summary of the trials carried out in 1992-1994 with INAGROSA’s biostimulators in sugar cane growing in Cauca Valley (Colombia) Biotécnica Andina, S.A., Bogotá, Colombia, published in June 1994 (Spanish, English). 116. “Report on the analysis and trials carried out on six experimental stations in Ukraine in Sugar beet crop, 1993″. Sugar Beet Institute of the Ukrainian Agricultural Research Academy, Kiev (Spanish). 117. “Report on the analysis and trials carried out on six experimental stations in Ukraine, Sugar Beet and seeds”. 1994. Sugar Beet Institute, Kiev (Russian). 118. “Report on the analysis and trials carried out on six experimental stations in Ukraine, Sugar Beet and seeds”. 1994. Sugar Beet Institute, Kiev (Russian). 119. “Report on the analysis and trials carried out on six experimental stations in Ukraine, Sugar Beet and seeds”. 1994. Sugar Beet Institute, Kiev (Russian). 120. “Reports about the comparative trials with different biostimulator in sugar beet crop”. Ministry of Agriculture, Kiev, Sugar Beet Institute, 1995. (Russian). 121. “Reports on the results of trials in maize, sun flower for seed, reddish brown, sesame for seed, apple-trees and cherry-trees in Romania”. 1993. Research Institute of soil Science, Bucarest. (English). 122. “Reports on the results of trials in 15 crops in the Kuban region (Russia) with AMINOL-FORTE, KADOSTIM and FOSNUTREN”. 123. “Reports on the results of trials in 15 crops in the Kuban region (Russia) with AMINOL-FORTE, KADOSTIM and FOSNUTREN”. 124. “Reports on the results of trials in 15 crops in the Kuban region (Russia) with AMINOL-FORTE, KADOSTIM and FOSNUTREN”. 125. 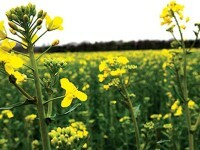 “Reports on the results of trials in 15 crops in the Kuban region (Russia) with AMINOL-FORTE, KADOSTIM and FOSNUTREN”. 126. “Reports on the results of trials in 15 crops in the Kuban region (Russia) with AMINOL-FORTE, KADOSTIM and FOSNUTREN”. 127. “Reports on the results of trials in 15 crops in the Kuban region (Russia) with AMINOL-FORTE, KADOSTIM and FOSNUTREN”. 128. “Reports on the results of trials in 15 crops in the Kuban region (Russia) with AMINOL-FORTE, KADOSTIM and FOSNUTREN”. 129. “Reports on the results of trials in 15 crops in the Kuban region (Russia) with AMINOL-FORTE, KADOSTIM and FOSNUTREN”. 130. “Abstract of reports on the results of trials in 15 crops in the Kuban region (Russia) with AMINOL-FORTE, KADOSTIM and FOSNUTREN”. Lukianenko Agricultural Research Institute, Krasnodar-Russia, 1992, 1993 and 1994. (Russian). 131. “Reports on the results of the trials in tobacco with AMINORGAN (powder) and bioestimulators. Tobaco Research Institute”. Cuba 1994-1995. (Spanish). 132. “Reports on the results of the trials in 11 crops”. CNSF, Centro Nacional de Suelos y Fertilizantes, Cuba 1994-1995. (Spanish). 133. “Effectiveness of the treatment of sugar beet plants using plant grow stimulating agents containing the amino acid complex reducing doses of herbicides”. Ukrainian Academy of Agricultural Sciences 1995, N.Z. Guisbullin, S.N. Gontarenko, (Russian, English, Spanish). 134. “Effectiveness of treatment of sugar beet plants using plant grow stimulating agents containing the amino acid complex reducing doses of pesticides”. Ukrainian Academy of Ag. Sciences 1995. N.Z. Guisbullin, S.N. Gontarenko (Russian, English). 135. Results obtained with the application of AMINOL-FORTE, FOSNUTREN and KADOSTIM in the sunflower crop in several regions of Ukraine. Academy of Agricultural Sciencies 1995, (Russian). 136. Beet storage in the sugar mill: Reducing sugar losses. Food Conservation Institute. Kiev 1995 (Russian). 137. Effects of the AMINORGAN application on surface when beet root plant is growing. Sugar Beet Institute, Kiev. 1995 (Russian, Spanish). 138. Results of investigations undertaken by the laboratories of the Ukrainian Sugar Institute on: “Increase of the biological activity of herbicides by using INAGROSA`s biostimulators”. Scientific Colloborators S. N. Gontarenko, S. N. Gizbulin. (Russian). 139. Induction of Somastostatin and Vasoactive Intestinal Peptide (VIP) gene expression in the Central Nervous System (CNS) of the adult rat by FACE (active material). Servicio de Endocrinología, Hospital Ramón y Cajal; *Servicio de Endocrinología, CNIC, Instituto de Salud Carlos III, Madrid 28034, SPAIN (English). 140. Third International Congress on Amino Acid. Vienna, August 23-27, 1993, Dr. F. Sanchez Franco, Report for LBE – INAGROSA (English). 141. Effect and mechanism of action of amino acid preparations of INAGROSA on ammonia assimiliation and cell protein synthesizing apparatus in legumes. Institute of Plant Biochemistry, Georgian Academy of Sciences, Tbillsi 380059, Georgia. Conference on Plant Proteins for European Crops. Nov 25-27, 1996 – Nantes (France) (English). 142. The influence of amino acid preparations of INAGROSA on seed proteins of cereals and maize. Institute of Plant Biochemistry, Georgian Academy of Sciences, 380059 Tbillsi, Georgia. Conference on Plant Proteins for European Crops. Nov. 25-27, 1996 – Nantes (France) (English). 143. Evaluation of Application of Biostimulators on carnation, French Beans and Tomatoes. INLAB – Nairobi – Kenya, 1993. Received 1996.(English). 144. Report of consultancy on KADOSTIM bio-stimulant evaluation trials in sugarcane in Malasya from December 8 to 21, 1996 (English). 145. Estudio de los AMINOLES en el Tabaco de Cuba. Experimentos 1996.(Spanish). Instituto de Suelos, M de Agricultura – La Habana. Instituto de Investigaciones de Riego y Drenaje. Abdon J. Tremols González, Lourdes Diaz Rodriguez. 146. Analísis de los Resultados de cada uno de los Aminoles y Aminorgan en Tabaco. Abdon J. Tremols González, Lourdes Diaz Rodriguez (Spanish). 1996. Instituto del Tabaco (Cuba). 147. Study of KADOSTIM as Ripener in sugar cane in large scale application. Agriculture Research Division & Kilang Gula Felda Perlis SDN BHD, Malaysia. 1996. August 28, 1996 (English). 148. Experiments on sugar beet carried out in 1996 with INAGROSA’s products. Institute of Sugar Beet, Kiev. N.G. Guisbullin, S.N. Gontarenko (Russian,). 149. Seed & Plants of sugar beet treated with INAGROSA’s biostimulant in 1996. Institute of Sugar Beet, Kiev. (Russian) N.G. Guisbullin, S.N. Gontarenko. 150. Trials in sunflower crop with Aminol-Forte, Fosnutren, Kadostim. Institute of Sugar Beet, Kiev. 1996. N.G. Guisbullin S.N. Gontarenko (Russian, Spanish, English). 151. Evaluation of the Effectiveness of KADOSTIM Applied Manually (Small Plot Trial) On Sugarcane. GULA PADANG TERAP BERHAD (Malaysia)(English). Agricultural Research Department, 1996, Dr Juan Carlos Diaz Diaz. 152. Evaluation of the effect of INAGROSA’S Biostimulators in Three Rice varieties. (Khezar, Sepeedrood & Bejar). RICE RESEARCH INSTITUTE OF IRAN. (English). 153. Increasing Sugar Beet Productivity through Application of Growth Stimulants containing a complex of Amino Acids for Seed Treatment. N. Guisbullin, S. Gontarenko, Institute for Sugar Beet, Kiev Ukraina 1997. A. Sánchez (INAGROSA). (English). 154. Evaluation of the effect of INAGROSA’s biostimulators in the hop (lúpulo). Dr. Jaroslav Stranc, Ing. Jiri Listansky. Institute of the Hop (lúpulo). Rep. Checa. 1992 (español, checo, francés). (spanish, czech, french). 155. Informe parcial sobre evaluación de los bioestimuladores de INAGROSA en la caña de azúcar. Ministerio del Azúcar. Instituto Nacional de Investigaciones de la Caña de Azúcar. La Habana (Cuba). Noviembre, 1997. (español, ingles),(spanish, english). 156. Efecto de la aplicación del producto orgánico mejorador de suelos AMINORGAN sobre el rendimiento y eficiencia económica de la producción del tabaco tapado. XII Foro de Ciencia y Técnica. Ministerio de la Agricultura (Cuba). Unión de Empresas del Tabaco. Empresa Tabacalera Lázaro Peña. Ing. Lourdes M. Díaz Rodríguez. Ing. José L. Rodríguez Carrasco. Dr. Abdón J. Trémols González y Crs. Maribel Santiesteban Herrera. Instituto del Tabaco. La Habana (Cuba) 1997. 158. “Efecto de los productos agrobiológicos de INAGROSA sobre el tabaco (capero)”. Lourdes M. Diaz Rodriguez. Joaquim Abdón Trémols. Luis E.Blanco. Piedad Alvarez. Norge Cervantes Larduet. Instituto del Tabaco. La Habana (Cuba) – (español, ingles),(spanish, english). 159. “Segundo Informe parcial sobre la evalución de los bioestimulantes de INAGROSA sobre la caña de azucar”. Instituto Nacional de Investigaciones de la caña de azucar. La Habana (Cuba) – (español, ingles),(spanish, english). 160. “Rehabilitation of Hopea Tree (Merawan) in Nursery” . Wilstar, Malaysia (1999) (english). 161. “The Effects Of Amino Acid Based INAGROSA Liquid Fertilizer On The Performance And Production Of Watermelon” . WlLSTAR Malaysia (1999) (english). 162. “Influence of aminoacid fertilizer on growth of orchid”. WILSATR SDN BHD Malaysia (2000).